5 Effective On Page SEO Elements - Affiliate Resources, Inc.
Before we get started with the must haves, it’s important that you understand exactly what on page SEO is. In short, on page SEO are actions that can be taken to help increase your search engine rankings inside of your website. Basically, if something can be done within your website to increase your ranking potential, it is considered to be on page or on site SEO. If you have to go to another website, such as a social network, then it would be considered off page or off site SEO. 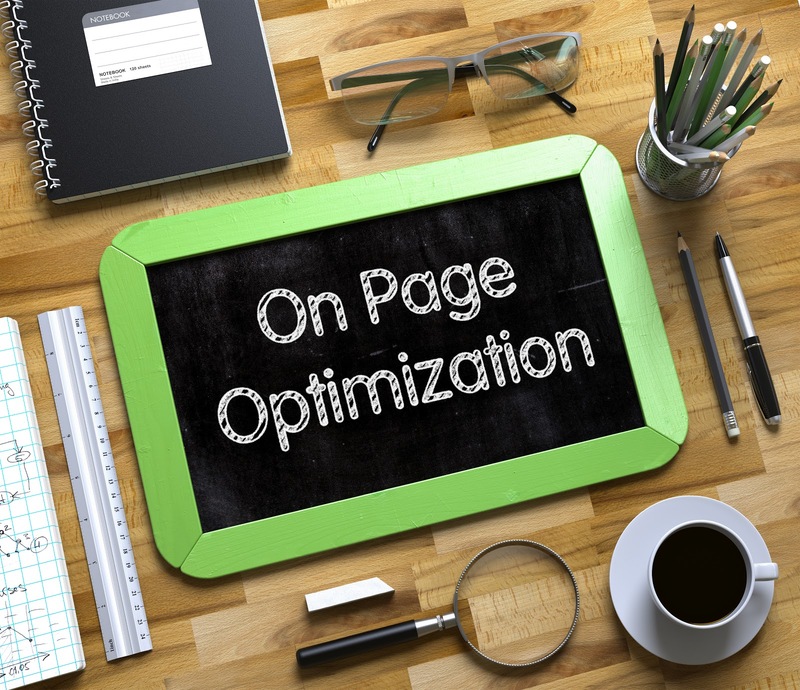 Now that you understand the difference between onpage and offpage SEO, let’s get started with the 5 must have on page SEO elements. The very first thing that you should always make certain is top notch are your page titles. While many people think that they must put their targeted keyword in the title, the best practice is to include it, but make the title interesting. You have to remember that potential visitors to your site will see your post titles on the search engine results, and if they aren’t interesting, your overall click through rates will suffer. So, let’s look at an example of post titles. 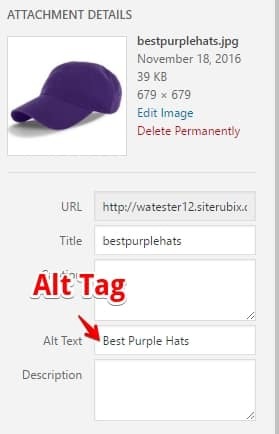 Let’s say that you’re targeting the keyword “best purple hats.” Your post title may be something like “Best Purple Hats 2016 – What Hats Are In Style?” or “Best Purple Hats – 3 Tips To Finding The Perfect Hat.” While these post titles are a bit on the long side, having a title that entices your potential visitors to click through to your link is crucial when it comes to higher search rankings. When you are targeting specific keywords or specific ideas, it is important that the URL you are posting under is optimized for them. So, if you’re writing a post for something like “best purple hats,” then you need to make certain that your URL is reflecting that term. It is important to understand that you will need to do this manually as WordPress will automatically make your URL the same thing as your post title. In our purple hats example, you can see how the URL, or permalink, is already created based on the title of the post. Once you have your post title and permalink setup, you can move on to the next essential on page SEO element, image tags. One on page SEO element that is often overlooked is image tags. Believe it or not, this is actually very important as your images can also rank on image searches as well as help your overall on page SEO. While it sounds complicated, optimizing your images is actually a very simple two-step process. First, take the image that you are wanting to upload to your post and save it on your computer as your targeted keyword. For example, let’s say we have saved an image from Amazon for the product we are wanting to promote as the best purple hat. As you can see below, the name of the image file is the inventory number when you save it. Note that the name has no spaces or capitalization. This is intentional as it is more easily optimized for SEO purposes. Now that you have your file name optimized, there is one more simple step once you have included it in your post. That step is to make certain that you have set your image alt tags. This is designed for the visually impaired, but also helps with your on page SEO, and it’s very easy to do. All you have to do is set the alt tag on the image after you have uploaded it to your site as you can see here. By taking the time to make certain your image file name and image alt tag match up with your targeted keyword, you can help the overall content on the page rank higher, as well as set yourself up for potential traffic from people searching your keywords on image search engines such as Google’s image directory. Once you have your images all setup for the best possible SEO, it’s time to move forward with your overall content. Headings are very useful on your posts for a couple of reasons. First, they break the content of your page down into easily consumed chunks for your visitors and allow your visitors to quickly scan your content so that they are able to get to what they want to know more about quickly. From the search engine’s perspective, headings tell them what the most important takeaway from sections of your content is all about. This allows the search engines to learn that your content is about more than one thing. Now, it is very important to understand that you do not want to “keyword stuff” your headers. So, in our example for the best purple hats, you don’t want to make every single header include the words best purple hats. What Are The Best Purple Hats? As you can see, the only heading that includes the keyword “best purple hats” is the first one. This lets the search engines know that the post is about finding the best purple hats, but doesn’t stuff the keyword into all of the headings. It also lets your visitors know exactly what each section of your content is about so they are able to quickly skim your post and find out all of the information they may need in order to make an educated decision. The final step that you need to take in order to create the best possible on page SEO results is to set up a few optimized links. All too often I hear people saying that they don’t put links on their posts because it will cause their site to rank poorly. Unfortunately, this is one of the biggest myths around on the internet when it comes to on page SEO. Now, while you want to make certain that you are linking to relevant things on the internet and that you’re linking to authority sites in your niche, it is important that you include links to other sites as well as to other pages of your website in order to improve your on page SEO. In our best purple hats example, I would link out to a hat page on wikipedia or to some other type of history site that talks about the origin of hats. By doing this, you show your visitors that you have done your due diligence in finding information about hats while also keeping your visitors from going to a potential competitor who also sells hats. Aside from creating a link to an authority site, you also want to create a couple of links to other pages on your website. The important thing when creating these links is to make certain that whatever you’re linking to is relevant to the page you’re placing the links on. So, for the example of “best purple hats,” a link going to a page on your site talking about red hats wouldn’t be a good fit, however a page discussing new purple hats for 2016 would be a great page to link to as it is still relevant to the page you’re linking from. Now that you understand 5 of the must have essential elements in order to increase your on page SEO, it’s important that you take the time to implement them. As you can see above, it really doesn’t take that long to do, and the results of taking the few minutes required to do them can increase traffic to your website substantially. While the above essential are just a few things to do to help your site perform better on the search engines, there are many more things that you can do that will help your site perform even better. Over at Wealthy Affiliate, there are tons of different training courses, live training sessions, and community created trainings that will help you learn even more key tips and tricks to have your on page SEO and overall site SEO performing at their best. You can take just a few minutes and check out my review for Wealthy Affiliate here. Hi Jay, can you alter a permalink after it has been published, or will this cause errors? If you alter a post or page permalink, it can cause errors. If you do this, ensure there is a 301 redirect in place which would automatically redirect the old URL to the new URL. Just a quick question about saving images as keywords. I noticed you don’t have a space between words when saving the image. yourbestkeyword.jpeg for example and use yourbestkeyword in the ‘title’ section on the image. Does it make any SEO difference if you save the images with spaces like your best keywords.jpeg and the image title is ‘your best keywords’ compared to the no spaces between words option? Thanks alot Josh.